The MAPPS Obesity Health system programme aims to develop and continuously update a comprehensive review of health systems across all countries and to use this information to recommend guidelines and approaches for the treatment and management of obesity in different settings. 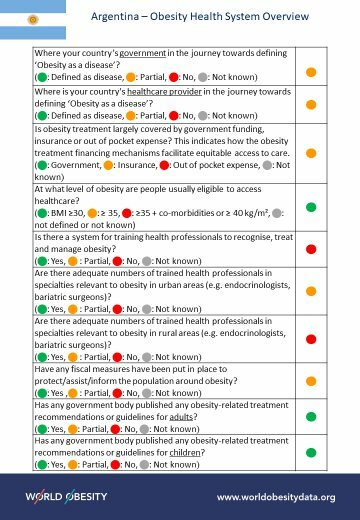 MAPPS is gathering intelligence from key local stakeholders on in-country healthcare systems and practices for obesity policy, prevention and treatment and compare countries based on their health systems performance. You will find below a brief overview based on provisional results.